We have all seen the roulette wheel, at least once, as well as people betting on a certain number and color. But the rules of roulette are unfamiliar to most except the punters and those interested in roulette and game developers who make the online versions. Roulette is straightforward, yet there are things you might want to pick up before you go and place your next bet. 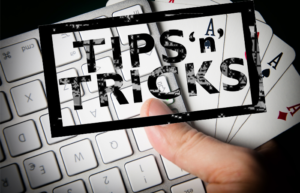 Going in blindly is something you should avoid in general, and especially with gambling. Vaguely knowing the rules is most likely going to lose you money. Here is how roulette is played and what you can expect once you approach the table. There are two kinds of roulette, European and American. European roulette has 37 numbers, one of which is a 0. American roulette has 38 numbers, having a double zero number. The rules of roulette are simple, but the number of different bets is what attracts people, especially in Europe, where the house has less of an edge. 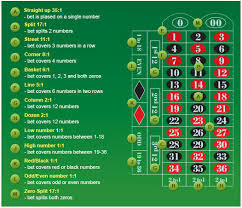 The roulette mat is in different languages, having black and red numbers and names for different bets. The names are mostly in French, except for the American roulette which has the names in English. You can bet on a lot of things in roulette and here is a list of them. The first word shows the English name and the second its French counterpart. The plethora of bets attracts people, and you lose your bet if the ball falls on zero od double zero, unless you bet on it as well as anything other than what you bet on. Is It Profitable to be a Gambling Operator? Is Investing in Stock Gambling?